We are looking at attaining qualified agents for the Denver Real Estate Area. 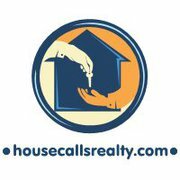 If you are a seasoned Real Estate agent or are a new licensee we would love to talk to you. If you are looking for a place to hang your license in the Denver or Colorado Springs area lets talk. We have 2 options for our agents. You can either pay a small monthly and minimal filing fee or a ?% split and filing fee. We are proud to offer the lowest fees in Denver, so at least check us out. There is also a 2 tier profit sharing program set in place so that you can get paid for agents that you bring on to the team.